does it pay, what does it pay? 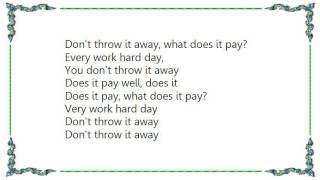 don't throw it away, what does it pay? Publisher(s): BMG Vm Music Ltd.